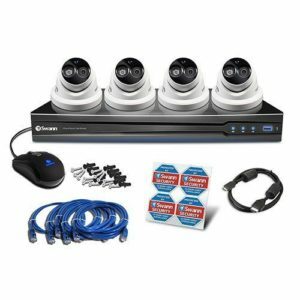 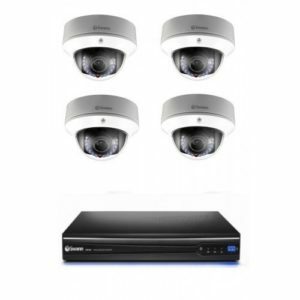 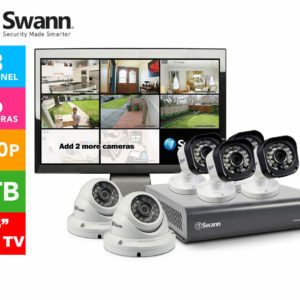 Housed in an IP66-rated enclosure with an included sun shield, the Indoor/Outdoor Wi-Fi All-Weather Camera from Swann is designed to serve as a convenient camera for your home or office use. 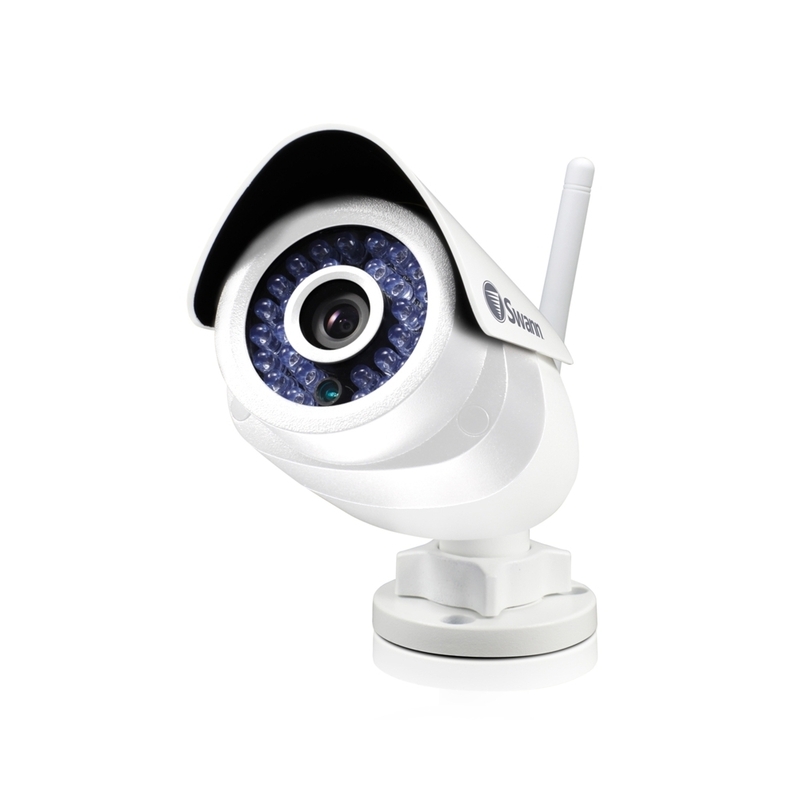 Whether connected wirelessly or by using the included RJ-45 cable, the camera delivers 720p video and audio which can be live streamed via a mobile device. 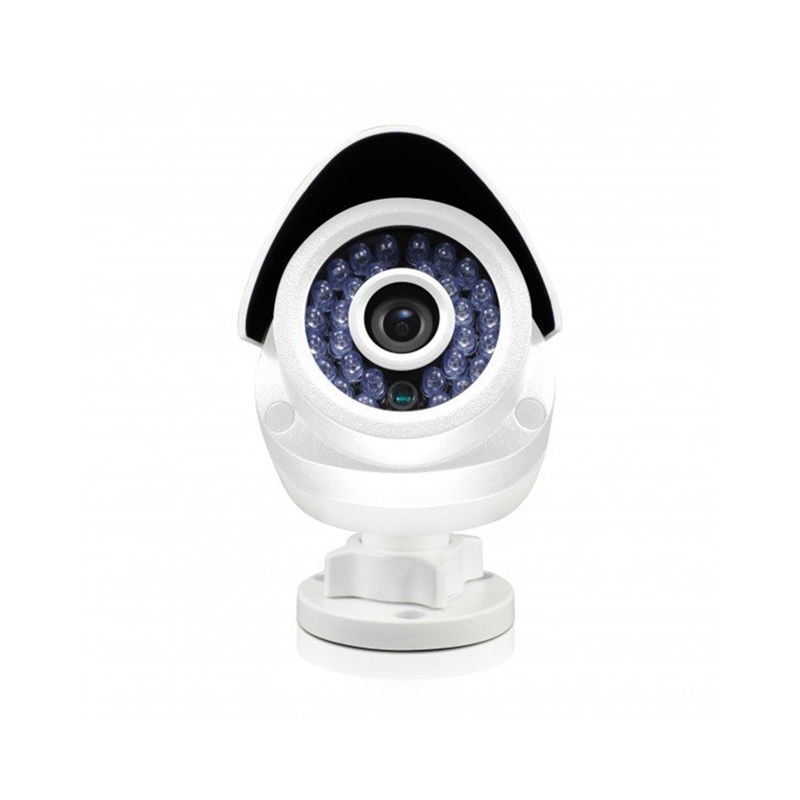 With up to 50′ of night vision, the camera captures clear images regardless of the light quality in the area. 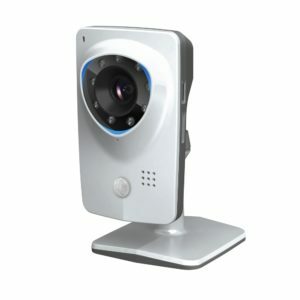 The camera also features facial recognition technology which detects and focuses specifically on faces, allowing the viewer to recognize and identify people within the camera’s range. 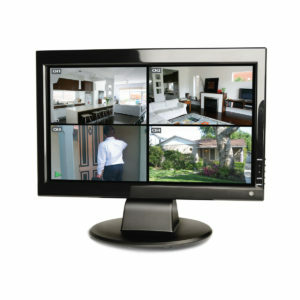 Smart alerts can be enabled to inform an administrator of possible camera tampering and intruder detection. 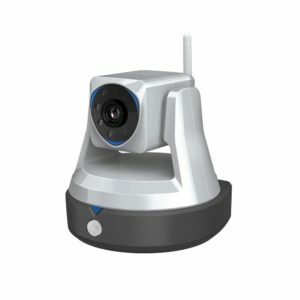 Camera footage is automatically stored in the SwannCloud servers for up to 1 day, though additional SwannCloud memory can be purchased separately, or on a microSD card installed in the camera’s memory slot.